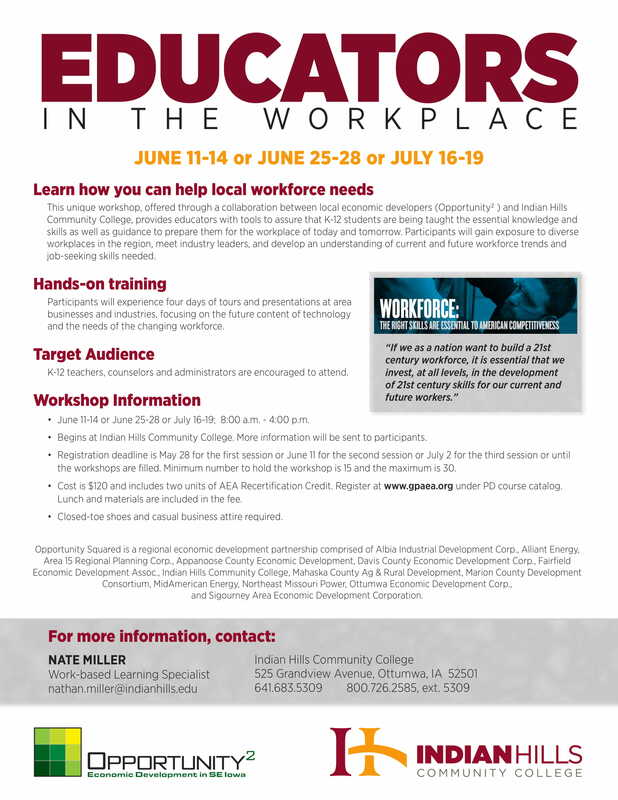 Educators in the Workplace has a simple goal- provide exposure of business and industry career paths to teachers, counselors, and administrators in southeast Iowa school systems so that they have a much better idea of what types of work are available for their students. Even if those students don’t have college plans, there many options for high-paying, long-term careers. Educators learn first-hand through tours of a wide variety of industries including machining, healthcare, finance, entrepreneurship, education, foundry, food service, metal fabrication, bioprocessing, farm implement manufacturing, and more!